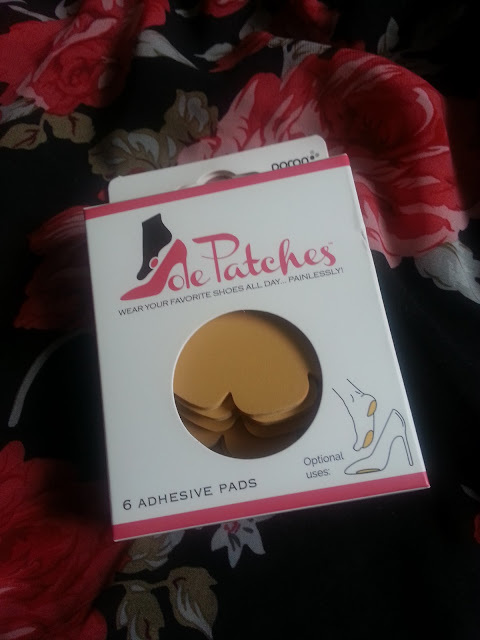 Deidre's Discoveries: Sole Patches: Wear Your Favourite Shoes All Day... Painlessly! 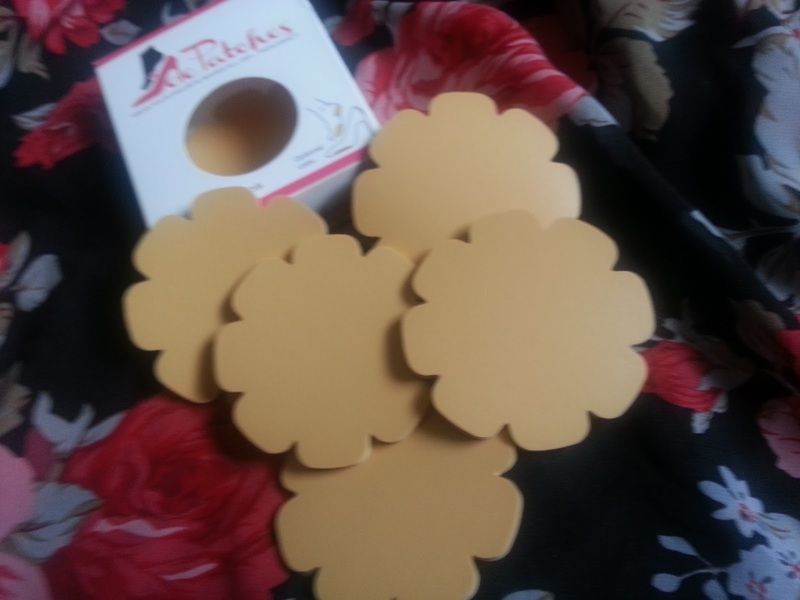 Sole Patches: Wear Your Favourite Shoes All Day... Painlessly! The Holiday Party season is upon us! Avoid tired and sore feet and dance a little longer on the dance floor, or mingle a little longer at that party! Keep your high heels on without wincing in pain! 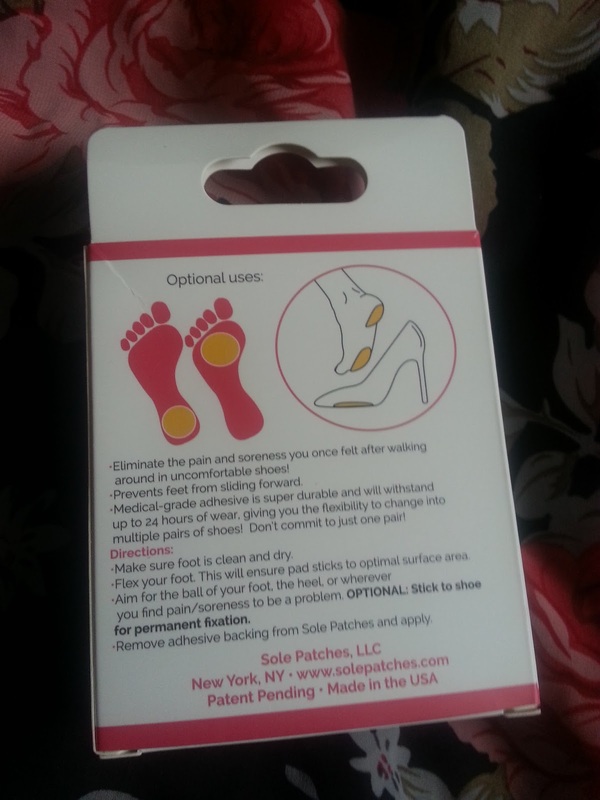 Sole Patches are a sticker that you can put directly onto the ball of your foot, the heel of your foot, or directly onto your shoe to avoid pain in your feet! The super shock-absorbing properties of the high tech urethane PORON® will be cushioning your feet every step of the way. Where were these in the summer, when I could have used them for all of those weddings I attended?! The little flower patches can adhere to your feet, or more permanently in those uncomfortable heels. You can even cut them in half so you don't run out as quickly. Now that wedding season is over, we are approaching holiday season. Which means heels again. These really do eliminate the pain after walking around in uncomfortable shoes, and they don't just fall of if your foot gets sweaty. So handy to keep in your purse, or just in your house, because you never know when you might need one. Check out www.solepatches.com if you're interested in purchasing some, or just learning more about the company and product!